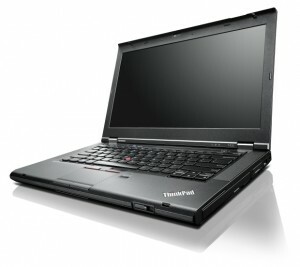 Lenovo has officially unveiled its updated 2012 line of ThinkPads with updates to the company’ T, L, W and X series. Each of these updated ThinkPads come with Intel Ivy Bridge processors as well as the new Precision keyboard as opposed to the classic ones, marking two of the more important changes to the line. While nobody is denying the fact that the new Ivy Bridge processors are a definite positive change, there is a bit of a disagreement about the new Precision keyboards and whether or not they are appropriate replacements for the current ones, which are much loved and much praised by users. On the flip side, the Precision keyboards do offer backlighting on almost every new model, something that wasn’t incorporated in the older versions. In addition to the processors and keyboards, other new updates to the ThinkPad include Lenovo Enhanced Experience 3.0 (EE 3.0) technology. This provides you with faster systems boot-ups as well as RapidCharge for faster battery charging, optional 4G mobile broadband (on select models), USB 3.0 and Dolby-certified audio. The ThinkPad T Series, which is the more mainstream line, comes with a 14″ T430, slimmer versions known as the T430s and the 15.6″ T530. Also, the notebooks will come with Nvidia dedicated video cards (optional) with the T530 providing a full HD 95% color gamut display option. The T430 and T430s will start at $879 and $1,399, respectively, though no pricing has since been released on the T530. Lenovo’s updated L430 and L530 are being touted by the company as budget 14″ and 15″ laptops, though the starting price for them is also $879. That doesn’t seem much like a budget price to me, especially considering some of the other budget models on the line from some other companies. The W530 is more of a mobile workstation device and comes with a 15.6″ full HD, 270-nit wide-viewing angle IPS display. It too has a 95% color gamut and is equipped with the Nvidia Quadro graphics. In addition to that, this device comes with a built-in color calibrator, perfect for designers and photographers. The W530 will have a base price of $1,529. The final updated products come in the form of the ThinkPad X230 and X230t. Both are 12.5″ Ultraportables with the X230t coming with a touchscreen display. The standard X230 weighs less than 3 lbs with the tablet not weighing much more than that. Base prices on these models are $1,179 and $1,479, respectively. While an exact pricing hasn’t been laid out for every model, there is a rough estimate on the release date. According to Lenovo, all of these updated laptops will become available in early June, though nothing more specific than that has been established. Once more information drops you can find it back here.